Guangzhou is the biggest transfer station of the ready-to-wear market in China. 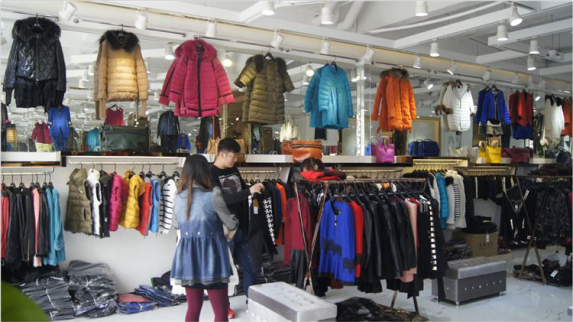 There are many large-scale wholesale clothing markets in Guangzhou. Those wholesale markets in Baiyun District, Guangzhou City are places for clothing manufacturers and dealers who engaged in clothing to do business. They manage clothes of different levels and meet the different needs of the whole world. However, the many clothing wholesale markets in Baiyun district can sometimes be confusing. For newbies, it can be pretty difficult to find a proper wholesale market. 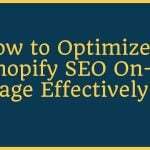 This is where we come in as Leelinesourcing. 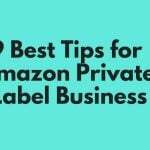 We are writing this purchasing guide to help you purchase with peace. It is our hope it will be helpful. There are some cities offering non-stop flights to Guangzhou. Take America for example, you can take non-stop flight to Guangzhou from following cities: New York, Los Angeles and San Francisco. If there is no non-stop flight to Guangzhou in your city, you can also transfer your flight to Shenzhen, Hong Kong, and Shanghai from which you can take another flight or the high-speed rail. This is also very convenient. 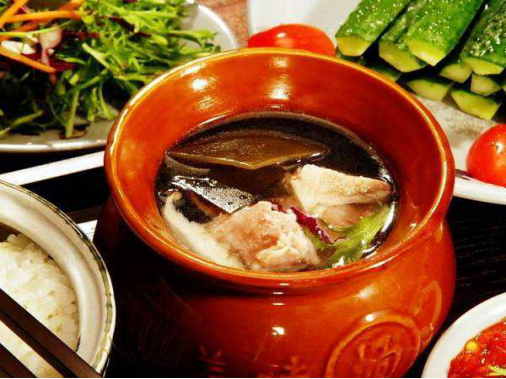 This is a famous soup in Guangzhou. To make this soup, you need to put white radish, fresh beef offal, and other condiments together, and stew them for a long time. 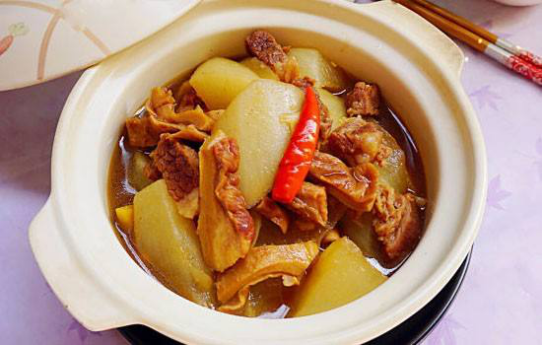 On some prosperous business streets in Guangzhou such as Shang Xiajiu Road or Beijing Road, you can always see some people shopping while having the white radish and beef offal soup on a hand bowl. On Shang Xiajiu Road, Xihua Road and Renmin Road, there many snack stores that sell the wonton noodles. 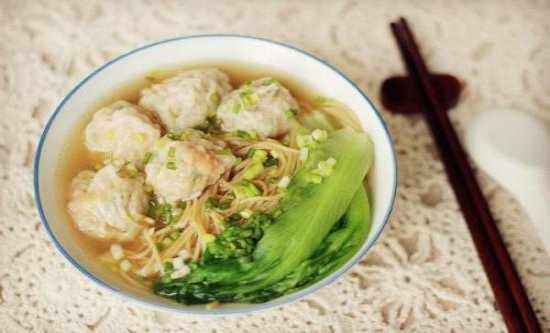 For its delicious soup, wonton with thin skin and much meat stuffing, wonton noodles has become one of the most popular breakfast in Guangzhou. This is made using rice milk. It is a famous traditional local food in Guangzhou. 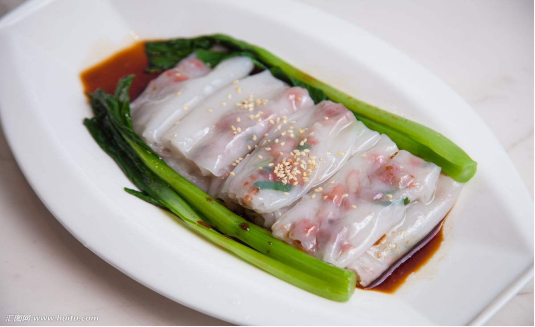 You can be sure of finding steamed vermicelli roll at every breakfast store. This is a traditional nourishing food which has been inherited for thousands of years. It is made by mixing many different types of food materials and medicine materials. A small fire is then used to stew the soup for a long time. This soup is not only tasty but also offers great health benefits. It is one kind of food you cannot miss it to taste. 1.Super 8 Hotel: This is a modern convenient hotel that offers meals, drinks and entertainment. Hotel services: airport pickup service, car hailing service, baggage deposit service, morning call service and postal service. Hotel facilities: conference hall, smoking area, fax machine and copy machine. Address: No. 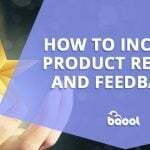 9, Helong Six Road, Renhe Town, Baiyun District, Guangzhou City. 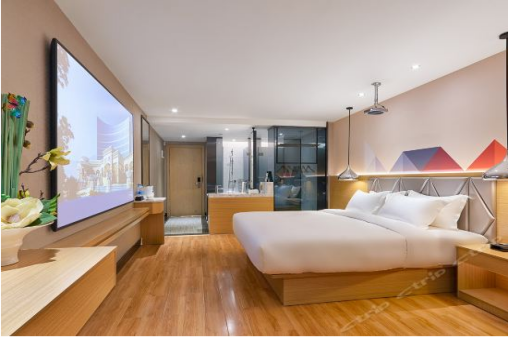 2.Parman Hotel: This is a modern business hotel with a spacious room. It also features fashionable and humanistic design to make you feel comfortable. House types: queen-size bed rooms, double bed rooms and family suites. Hotel services: airport pickup service, valet parking service, car-rental service, baggage deposit service, morning call service and postal service. Room facilities: WIFI, independent bathroom, LCD TV, free local calls and free domestic toll call. Hotel facilities: massage room, chess and card room, sauna bathroom, beauty center and hair salon. Address: No.83, Huaxi Road, Donghua Village, Renhe Town, Baiyun District, Guangzhou City. 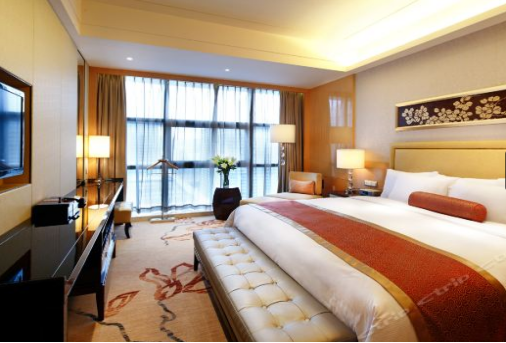 3.Guangzhou Baiyun Wanda Hilton Hotel: This is another high level business hotel with amazing facilities. It is located near Baiyun International Conference Centre and Guangzhou Sport Hall. 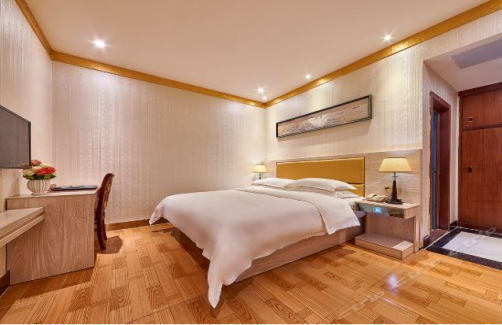 The hotel is only a few walking minutes to Wanda Plaza and some other high level fashionable shopping centers. Hotel services: airport pickup service, car rental service, baggage deposit service and morning call service. Hotel facilities: parking lot, indoor swimming poor, fitness room, massage room, sauna bathroom, beauty center and hair salon. Address: No.515-517, Yuncheng East Road, Baiyun District, Guangzhou City. Jindong International Clothing City is a professional wholesale market specializing in managing brand special offer clothes. 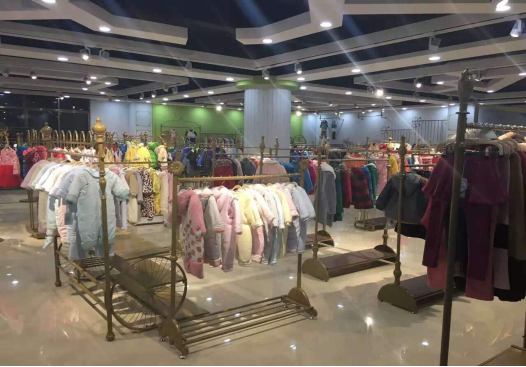 So far, it is the biggest special offer clothes trading center in South China with the most multiple styles of clothes and facilities. It has best regulated management and a complete support service. The market is equipped with firefighting system, safety monitoring system, broadband network system, luxury elevator and other modern facilities. Nearby, there is square, parking lot, consignment center, business center, facility center, restaurant and much more. At present, more than 2000 domestic and foreign businesses have entered this wholesale market. The market sells woolen clothes, jeans, leisure clothes, sports clothes, fashion clothes, children’s clothes, underwear and others. All clothes sold in this market are of good qualities. 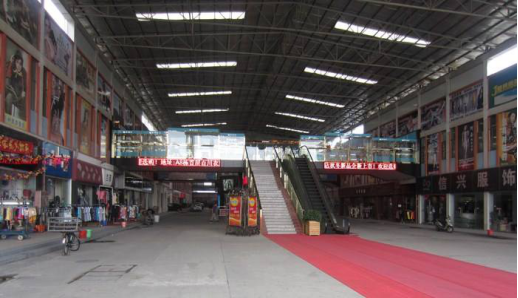 The Guangzhou Jindong International Clothing Wholesale Market has three floors. The first floor is the clothing stall; the clothes here are mostly men’s wear. The proportion of men’s wear and women’s wear is bout 6:4. They mainly manage men’s shirts, trousers, and jeans. Men’s autumn and winter wear is less but we have more summer leftover stock. The shops in first floor all have high level decoration and most of them look like exclusive shops where goods are in order. You also find many shops doing trade here specializing in foreign trade. The second floor is mainly a warehouse with shops that have not started to operate and few people go there. However, there are still some leather shops, case and bag shops, shoes shops in the A1 District. They mainly manage men’s leather shoes, case, and bags. The goods here are real leather and the prices are above ￥120. 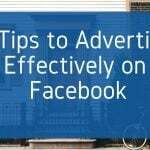 In fact, most of them are brand leftover stocks with high qualities. Some goods are leftover stock made by factories and sold as proxy. The second floor does not support mixed wholesale. The women’s clothes in Guangzhou Jindong Clothing Wholesale Market are mainly one-piece dresses. Other styles are less. They are summer leftover stock but most of them are old-fashioned. There are also many middle-aged clothes with most of them for the fall and winter style. 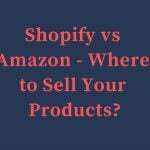 In these shops, you can buy wholesale or retail. The shops in A2 District of Jindong wholesale market manage children’s clothing. All the clothes in Jindong wholesale market are of good qualities, fashionable and come in various color and size. The clothes in market are far better than in some other markets but the price is also higher than other markets. Address: No.1 Huangjin Road, Shijing Street, Baiyun District, Guangzhou City. Get on No.280 bus at Yuexiu Park station, pass 19 stations. Get off at Huanggang station.Walking about 80 meters, and then arrive at the market. 2) Take taxi: whole journey is about 30 minutes and costs about ￥33. 1) Bus route: Take metro line 3 at South Airport station, pass 5 stations and get off at Yongtai station. Take another bus No.126 bus at Yongtai Xincun station, pass 16 stations and get off at Shifeng Lukou station. You can then walk 320 meters before arriving at the market. 2) Take a taxi: The whole journey is about 40 minutes and costs about ￥96. Guangda trade city can be divided into five parts. 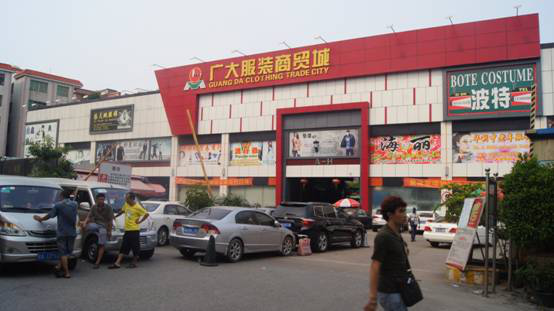 Guangda clothing trade city is located in No.8, Shijing Shitan West Road, Baiyun District, Guangzhou City. Shops here mainly manage men’s clothes, jackets, down jackets, business sportswear, business women’s clothes, fashionable jeans, fashionable lady’s wears, sweaters, underwear, children’s wears, and sportswear etc. Guangda leather goods city is located in Shijing Shitan West Road, Baiyun District, Guangzhou City. This market has network informational trade management platform. It mainly manages leather quality goods, clothing, and jeans. Guangda shoes’ city is located in the intersection of Huanggang Avenue and 107 national highway, Baiyun District, Guangzhou City. 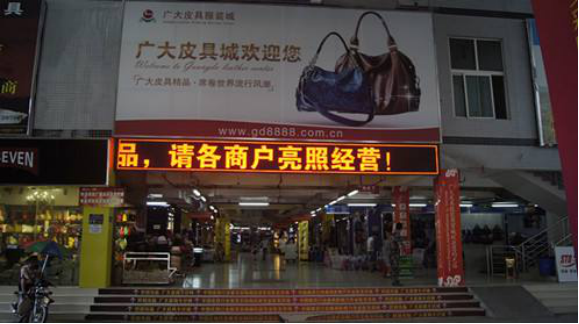 This is the largest brand shoes wholesale market in South China. 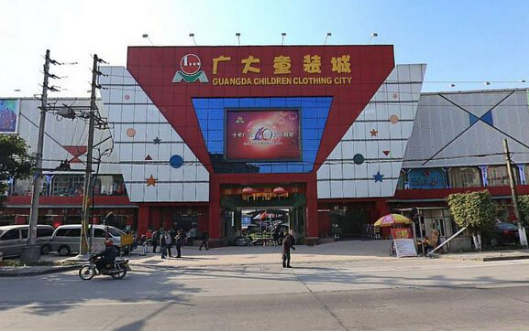 Guangda children’s clothes city is located in Shitan West Road, Shijing Street, Baiyun District, Guangzhou City. It is a wholesale market specializing in children’s series products. There are many national famous brand sell points and domestic and foreign famous brand products here. This market has a large scale, various product style and is a high-potential market. 1) Bus route: Take No.228 Bus at Guangzhou railway station, pass 15 stations and get off at Jingcha Xuexiao station. Then walk 50 meters to arrive at Guangda clothing trade city. 1）Bus route: Take metro line 3 at South Airport station, pass 5 stations and get off at Yongtai station. From here, take peak express No.48 at Yongtai Xincun station, pass 9 stations and get off at Huanggang Fenghuang Avenue East station. You can then walk 560 meters before arriving at the Guangda clothing trade city. 2) Take a taxi: The whole journey is about 50 minutes and will cost about ￥77. 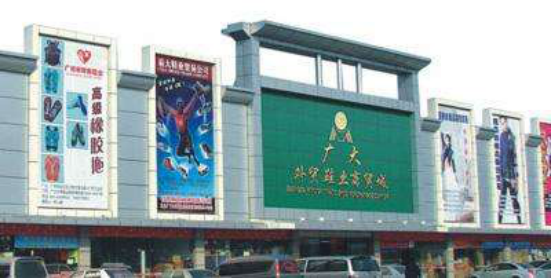 Jindong market and Guangda market are not far away from each other. Nearby them we have three logistics centers. The first, Jiazhong logistics center can deliver the goods to all parts of the country. 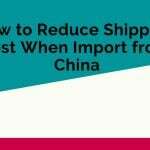 Hutian logistics center and Guangqinglong logistics center can also deliver goods for you expediently. Furthermore, the sellers will also help in the delivery the goods. As foreigners, when you are purchasing, one unavoidable problem is language. However, if you ask help from Leelinesourcing, then you don’t have to worry about it. 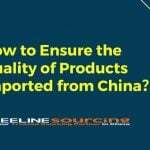 This is because Leelinesourcing has professional buyers that will help you pick quality goods. 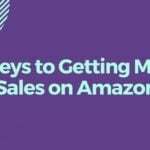 At the same time, they will negotiate the lowest price with these sellers to make sure you save on the purchasing cost. 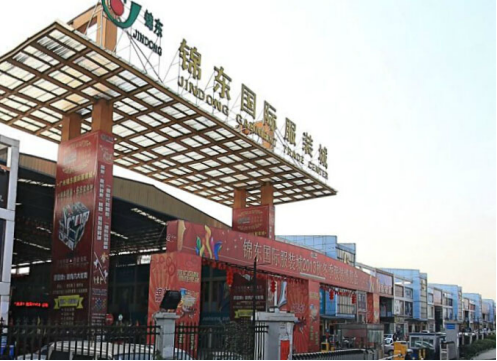 All the shops in Baiyun wholesale market support retail services. So if you want buy clothes, you can shop in these markets. 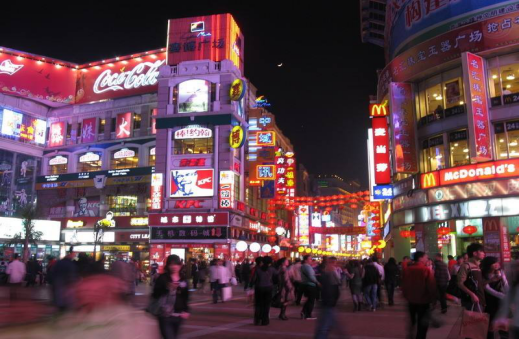 But if you have any other needs, both of Shangxiajiu road and Bejing road are good choices. 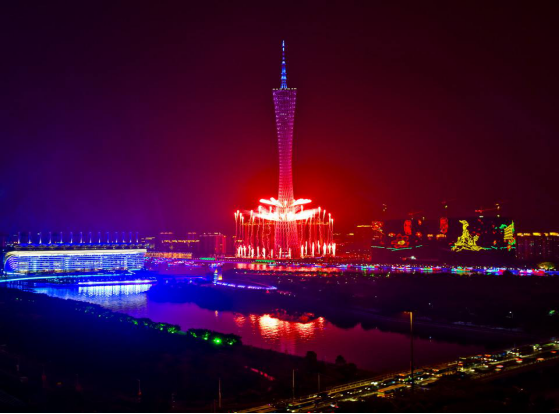 Guangzhou Tower is a large landmark building ideal for tourism, catering, cultural, entertainment, environmental protection, science education and other functions. 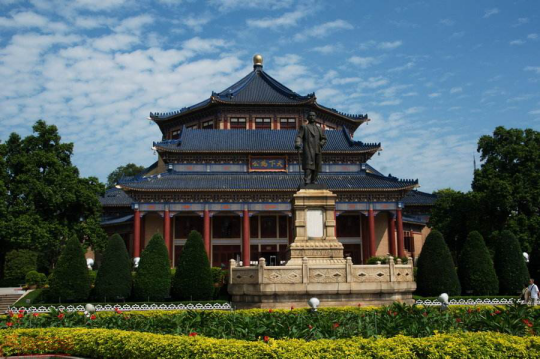 It shows people more than 2000 years of culture of the historic city of Guangzhou. White Cloud Mountain is another national key scenic spot. 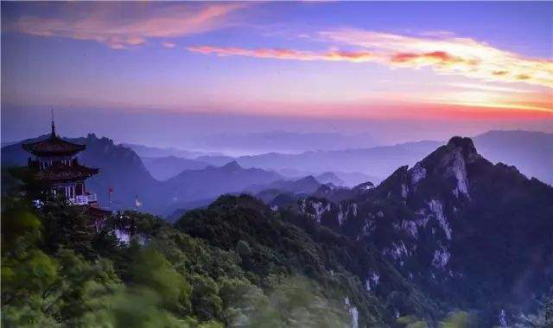 Since ancient times, white cloud mountain has had a reputation of “Unique Beauty of Guangzhou “. It is a combination of more than 30 peaks. The body of the mountain is broad. Guangzhou Sun Yatsen Memorial Hall is a memorial building built by the Guangzhou people and overseas Chinese to commemorate the great revolutionary pioneer Dr. Sun Yatsen. It was laid a foundation in 1929 and completed in 1931. Until now, it is the world’s largest Sun Yatsen memorial hall covering a total area of 62,000 square meters. By now, your shopping trip is almost finished. Remember to confirm your return route and book your ticket in advance. Make sure you keep your documents and other luggage properly. 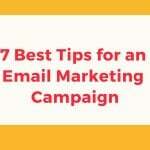 All the above are guides shared by Leelinesourcing. It is our hope to make your purchase trip a success. If you have any other problems, feel free to consult with us. 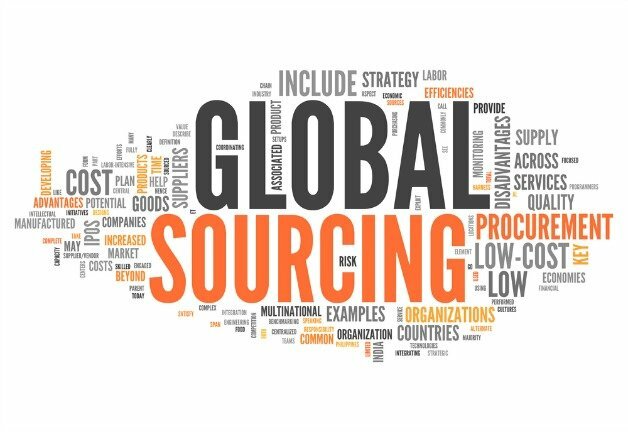 At Leelinesourcing, we use our rich experience to solve your problems in the best way possible. Lastly, we wish you a pleasant journey.